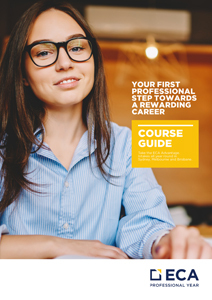 At ECA, we are delighted to be one of the few organisations approved to offer the Professional Year Program in both IT and Accounting. This program provides graduates with the skills and confidence needed to work effectively in the Australian workplace. We offer your company a cost-effective method to source highly qualified Interns who will fit perfectly into your corporate culture. Hosting interns can present exciting new opportunities for your IT or Accounting departments which will give your organisation an edge in today’s competitive market. ECA has a record of partnering with leading host companies such as Fuji Xerox, the ANZ Bank, and the ATO. In choosing ECA, you are partnering with an organisation committed to quality education and providing ongoing support for our interns, and their transition into permanent positions or other work prospects. Develop educational and industry links with the ECA group of colleges. Build a working relationship with international and local graduates of the highest calibre. Undertake and complete projects that would not otherwise be possible due to limited human resources. Gain knowledge from one of our motivated interns who will contribute to the success of your organisation. Provide an excellent means for your organisation to enhance its image and recruitment activities. Build a working relationship with prospective employees, and assess potential candidates and shape their technical competence to suit your company’s needs for possible employment after graduation. Provide professional or para-professional staff support on short or long-term projects. Work with graduates who are flexible, highly qualified, and prepared to cope with varied assignments.